Sometimes it is easy to forget this in the dark word of hate. It is important to take care of our soul! 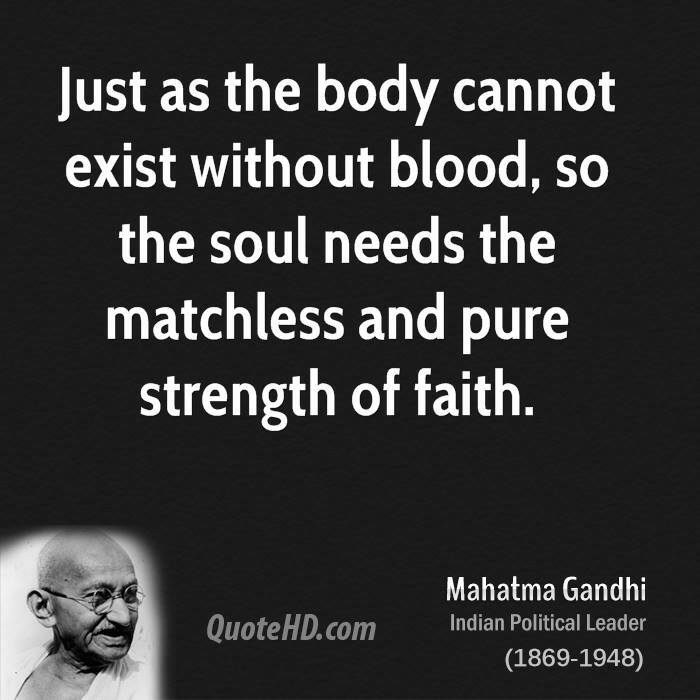 This entry was posted in India, Religions of the World, Uncategorized and tagged blogging, blood, faith, Hebrews 11:1, hope, Mahatma Gandhi, Matchless and pure strength of faith, Romans 1:20, soul, Wise Words. Bookmark the permalink.